The City of Brent is a very strong community with deep ties among their citizens. On May 27, 1973, a category 4 tornado tore through the City of Brent. The tornado destroyed approximately 90 percent of the city. The largest church in the community, Brent Baptist, was destroyed by the tornado. The tornado demolished more than 12,000 acres of timber and over 500 buildings; 72 people in the area were injured. 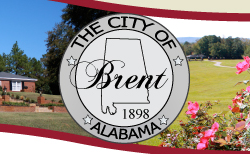 All of the citizens of Brent rallied together and rebuilt their community. We are a strong Christian community full of caring, hard working people. The citizens of Brent are growing together. Brent is becoming stronger and more successful each and every day. We welcome everyone to come to Brent and see all we have to offer.